When I first found out I was pregnant with our oldest, I barely spoke any Spanish (compared to many people, I still barely speak Spanish). However, my husband is from Mexico and we had it set in our hearts for our babies to speak Spanish. Which meant two things. 1) I needed to step up my game 2) I needed to find some Spanish kids resources. And here they are! It took quite a bit of effort for this English-speaker to find these. So I thought I’d put them in a list and throw them out there in case anyone else is interested in some good Spanish resources for their toddlers. The Spanish Experiment-The Spanish Experiment has translated classic fairytales into Spanish. This is a great spanish resource for toddlers who love audio books, and parents who want to step up their Spanish game. There are obviously so many more Spanish music sources out there, and we love listening lots of different Spanish genres. However, because this is a blog about raising little Jesus’ lovers, I stuck with our favorite Christian Kids Music. This is a ministry that paired up with Generacion 12 Kids and produced videos of of different Bible characters. This is, by far, our favorite Christian kids resource. Baby girl loves all of the songs and videos and frequently asks to watch them. She also dances along and does the actions with the characters. This is a great resource and ministry. I would almost call them a Netflix of Christian Media. Technically your church needs a subscription. But if you have a bunch of friends that wanted to pull together and buy a subscription, I’d say it’s kinda worth it. This website made the list for it’s Spanish Veggie Tales collection. It is hard to track down Veggie Tale Episodes in Spanish, but this website has them and more videos you and your older kiddos will love. Just about anything Disney on Netflix has been dubbed into Spanish, so let’s just say we love Disney movies around here. While all the other little girls are singing “How Far I’ll Go” at the top of their lungs, mine is over there singing “Cuan Lejos Voy,” all thanks to Netflix. Netflix had a great selection of Spanish movies and videos and Spanish Mama has put together a comprehensive list. Also Spanish Mama has a lot of other great material, so go check her out. Nick Jr. is in Spanish! Which is fantastic, since we live next to the Mall of America (Nickelodeon Universe), and frequently have the opportunity to meet Dora, the Bubble Guppies, and all the other favorites. The Spanish site tends to have a few full episodes that change quarterly, namely Paw Patrol, Bubble Guppies, and Dora the Explorer. I think there are others, but we stick with what we know and love. We don’t use apps a lot in our house, but I think they can be useful tools. I definitely say these ones are probably better for older toddlers and preschoolers. This is an interactive, electronic Bible with activities at the end of each story. We really like the coloring activities. This an alphabet learning app, definitely geared toward more of the preschool age, but it’s a decent free Spanish app, so it made the list. It’s also a good choice, because it has 2 language settings. One for English speakers learning Spanish. And another for native Spanish speakers and those of us that speak Spanish in the home. 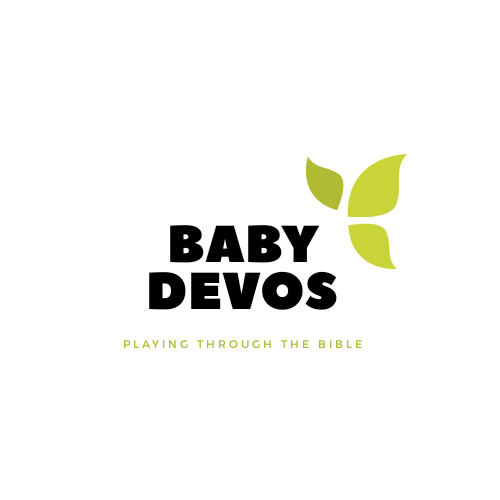 I am sure there are a million of options out there for Spanish baby Bibles, but these are the ones we’ve used, loved, and can recommend. Yes! There are magazines for babies and toddlers. I know it sounds a little silly, but they are such a great resource, because they bring new content to your child monthly and have ideas for how you can engage and help develop your child. Produced by Highlights, this magazine is geared for 2-5 year old and in Spanish. This one is produced by Cricket Magazine and we started getting when our oldest was 6 months. We love it and every month baby girl is excited when it comes in the mail. What are some of your favorite Spanish resources? I am always trying to add to this list. Comment Below!